Generally speaking, off-peak travel entails visiting a destination when the weather is less than perfect in exchange for lower travel prices and less crowding. However, we found numerous destinations that have near ideal weather in spring but not the popularity of summertime. So, if you can beat the summer tourists, you may be able to enjoy the perks of off-peak travel without sacrificing decent weather. Our top five choices for off-peak spring travel are Bali, Barcelona, Hawaii, San Diego, and Buenos Aires. Europeans flock to Indonesia’s paradisiacal island of Bali every summer begining in June, but the warm dry weather that draws the crowds precedes them by two months. If an exotic beach vacation sounds good to you, you’ll do well to avoid the crowds and high prices in Bali by arriving in April or May when the temperatures are in the 70s and 80s, rain is infrequent, and the prices for travel are low. And, although last December’s tsunami hit several southeast Asian beach resorts hard, Bali, situated behind the island of Java, was untouched by the waves’ devastating affects. While you’ll miss the crowds of foreigners by coming in the spring, you won’t miss out on local Balinese festivals and attractions. Numerous holidays and celebrations take place on the island in spring, including Hari Waisak, which commemorates the life of Buddha. You’ll also be able to explore Bali’s wild interior and witness local people performing traditional arts and music with little competition from other tourists. Saving money is a big perk of spring travel too. Hotels reduce rates, airfare prices drop, and vacation packages may be hundreds less. To demonstrate this, we compared vacation packages from three providers for travel in the spring and summer below. Prices are based on flights from Los Angeles and hotel double occupancy and were on found the providers’ websites. Rates vary by departure date and may be higher for stays over holidays. If you dare to venture to pricey Europe this year, traveling in the spring will help to avoid summer’s outrageous airfares and crowds. And, for good weather and more daylight, head south to a Mediterranean city like Barcelona, which experiences mild temperatures in the 50s to 70s and low humidity from April to June. During these months, enjoy exploring the city neighborhoods like Barri GÃ?Â?Ã?Â²tic and GrÃ?Â?Ã?Â cia before the weather gets too muggy. Plus, take in uncrowded attractions like the La Sagrada FamÃ?Â?Ã?Â­lia cathedral, the Picasso Museum, and the MirÃ?Â?Ã?Â³ Foundation. Although hotel rates in the city don’t fluctuate much throughout the year because of business travelers and visiting Europeans, travelers from the States will find major savings with spring airfare and vacation packages. Looking at three different air-and-hotel vacations from three different providers, we found that rates for travel in summer were about $300 more per person than in the spring. Prices are based on flights from New York and hotel double occupancy and were on found the providers’ websites. Rates vary by departure date and may be higher for stays over holidays. While Hawaii never really experiences a low season, winter and summer tend to be more popular times to visit the islands, so the spring (as well as the fall) tends to be a cheaper season to come. And, the weather between April and June is actually better than the winter, with less rainfall and pleasant temperatures ranging from about 68 to 86 degrees. Lounging on beach, surfing, and exploring the islands’ undersea and volcanic wonders are always in season, but visit in the spring to see unique events like the Pan Pacific Festival, the International Festival of Canoes, and the Maui Classical Music Festival. Visit the Hawaii Tourism website to find other spring events. To get an idea of the price differences you can expect between spring and summer travel, we compared Hawaiian Airlines fares for travel in April versus travel in July, and found that you could save several hundred dollars with spring travel. Spring fares are based on travel between April 11 and June 9 and summer fares are based on travel July 13 to 20. Prices were found on the Hawaiian Airlines website. Spring weather in San Diego is still a bit brisk for the city’s favorite pastime—frolicking on the beach in small swimsuits—but pleasant enough for exploring the region’s other attractions and participating in water sports like surfing (with a wet suit) and sea kayaking. Temperatures from late March to June range from about 55 to 70 degrees, and most days are sunny. However, mid-May through June, much of Southern California experiences the “June Gloom,” a period when fog hangs along the coastline, particularly in the morning. Head a bit inland to the nearby mountain and desert areas for clear skies. Visit in March and April to view the blooming wildflowers at the Flower Fields at Carlsbad Ranch and Anza Borrego State Park. Or, visit in May to take part in one the city’s many Cinco de Mayo fiestas, or in June for the nationally acclaimed Mainly Mozart Festival. 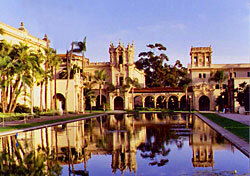 Come anytime to see the city’s popular family attractions, the San Diego Zoo, SeaWorld, and Legoland. Prices are based on the per-day double occupancy rates posted on the hotels’ websites and do not include taxes. Rates vary by date and may be higher for stays over holidays. Located south of the equator in Argentina, Buenos Aires experiences fall during the Northern Hempishire’s spring, offering pleasant tempatures in the 60s and 70s. Although spring weather is preferable to the area’s cooler winter (our summer), fewer tourists from the north visit at this time. So, if you can break away from work or school a little earlier than everyone else, you can take advantage of better weather and lower prices. Plus, with the Argentine peso down, your American dollars will take you a lot further than in other parts of the world this year. The city boasts a strong European flavor, with cobbled streets, chic restaurants, and a lively atmosphere. Come in April for the Feria del Libro, the annual book fair, or in May for the Feria de Galerias de Arte, an arts festival. The seasonal savings are clear when comparing the cost of airfare and accommodations in the spring against the cost in the summer. Looking at vacation packages from popular providers, you can see a price difference of $100 or more between the seasons. This feature is the first 2005 installment of our off-peak travel series. Stories covering the top off-peak destinations for summer, fall, and winter will be published later this year. For general off-peak travel planning strategies, read our feature Low season, low cost: Five tips for off-peak travel.